Memcached is free and open source caching solution. It is distributed caching that enables a large amount of data to be cached. Memcached has been used in thousands of web applications for improving performance. Since IO based applications are slower, Memcached can add a lot of improvement in performance by caching it and serving all data from RAM. Memcached is a key-value store, that requires a key to be unique across the whole cache. This requires a lot of thinking before implementing the solution in an existing application. 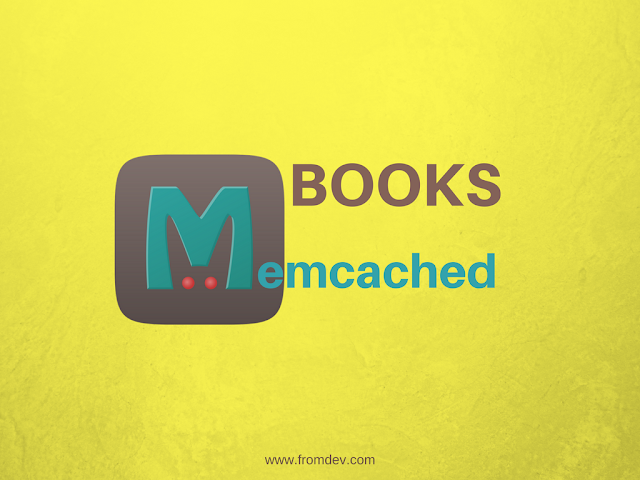 Though its is very popular, I did not find many good books talking in depth about Memcached. Below compilation is an effort to bring all the good books at one place. If you know of a better book, please share it in the comments section. This books a focused on beginners. It covers installation and simple programs to demonstrate how you can use Memcached in multiple difference languages. It is a short and easy to read the book for any web application developer. The main concepts of distributed caching and basic operations are very well explained in this book. It may not be good reference books for experienced programmers who require in-depth details about working on Memcached. The author has kept the content very short and avoided getting in depth. This may be a good starter book, however, you may still need to refer other books to get expertise on Memcached. This book is about using Memcached solution for search related applications. The book describes how you can speed up the performance of a search application based on caching results in a distribute cache line Memcached. Currently, there are better solutions available to this approach. However, this book should give you some idea about how Memcached can be used in a practical application. This is an Android app that contains Memcached tutorials. Its free to download and have a good collection of tutorials. There are not many books available on Memcached internals and in-depth tutorials. Therefore these books should help you do a quick start. If you find a better book, please share it with us in the comments.